Get your farm, its features and activities, listed on as many relevant websites as possible. Personal contact is all important, lookout for opportunities to network with teachers and always have your diary with you when speaking with schools. Get into schools and speak to people face to face. Exploit your contacts and customers for marketing your activities. Identify keen teachers and head teachers and work with these people. Network with local environment groups etc., who may know active and interested schools. Identify local council posts, ie, sustainability or environment officers, arts development officers, etc., that may promote, or be keen to develop, projects using your resources. Schools associations (clusters of schools working together in certain areas) are often willing to allow you a minor slot at their meetings. Keep your presentation short and concise. Have information leaflets with your activities and contact details ready to give out. Researching individual schools’ topics for the school year can pay dividends by enabling your marketing to focus on farm resources that may not be obvious to teachers. Be creative and imaginative. Open days are a good opportunity to provide information about school visits to teachers, governors, parents, and children. Make sure you have some promotional materials available for them to take on to the school. Mailing schools can yield poor results, (schools are the target of lots of mail-shots) and can be an expensive and time-consuming exercise. Following up with a phone call might increase chances of success. Consider using email as this is a cheaper option than post. Long letters to teachers are unlikely to be looked at. Colourful postcards with concise information are likely to have a greater impact. Consider themed weeks to stimulate interest. Consider running competitions or offering prizes that can be used to by the school to raise funds for the visit, this can also be done via local media to market farm open days thus giving relatively cheap publicity. 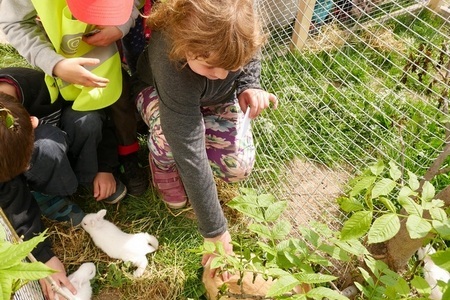 Use positive feedback from teachers to sell the value of a farm visit to other schools. Offer a pre-visit into the school. Emphasise links between your activities and the national curriculum. Offer a pre-visit and a risk assessment to the teachers. Offer the opportunity for some email communication with school children. Inform your local education authority and let them know what you can do and offer to facilitate or host training or seminar events. Local councillors are very influential. If you can get any of them to the farm to show them what you are doing, this could be very worthwhile. Invite them to open days and make time to show them around. Make the most of free publicity by sending in press releases to the local media.